There are certain moments in a wine lovers life that they never forget. For me, tasting my first really aged wine was among the most memorable. The wine was a 1975 Chateau Lafite-Rothschild that my husband and I enjoyed several years ago. The wine was thirty years old when we opened it, but I was just in my infancy working in the wine industry. At the time I had no real idea what an aged wine was supposed to taste like and both of us were nervous opening the wine, out of fear of the unknown – would either of us even know if the bottle was bad? When we finally opened it I remember having no coherent words to describe everything I smelt and tasted, I just remember describing it as “gardening soil”, but really really amazing gardening soil. It was the first time I truly tasted and understood “earth” on a wine. Since then I’ve been fortunate enough to have tasted aged wines from all over the world. I learn something new every single time. Not all wines are meant to age. In fact, most wines produced in the world are intended for immediate consumption. But tasting those that have experienced long-term aging can be an incredible experience. One of my most recent experiences with aged wines was at a Rioja tasting I attended in NYC courtesy of Snooth. Ana Fabiano, author of the book The Wine Region of Rioja and Rioja Brand Ambassador, led this final seminar of the Snooth PVA weekend – an eye opening one at that. If you read my post from yesterday (and if you didn’t, feel free to do it now… I promise I’ll be here when you get back…) I introduced you to Spain’s Rioja wine region. In it I mentioned one of the unique characteristics of Rioja was the strict aging requirements of the wines of this region, and how the intent of this law was to present wines ready to be consumed upon release. Theoretically, once a wine is released it is ready for consumption – i.e. no additional aging is required. I also mentioned that there are many exceptions to this rule, ones that demonstrate Rioja’s impressive ability to age. 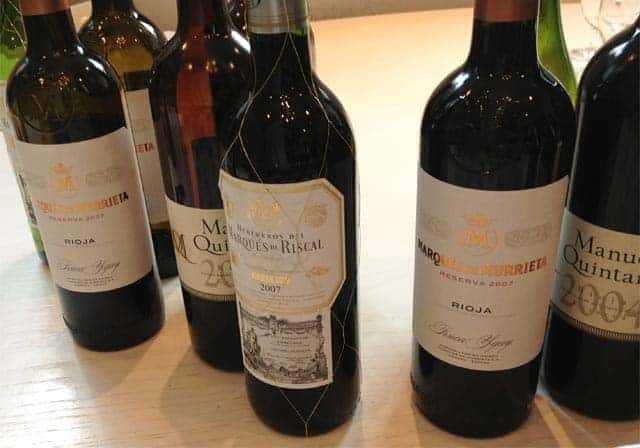 In this seminar Fabiano provided several examples of impressive age worthy Riojas, proving their remarkable ability to age among the finest wines of the world. In the tasting we sample two wines each from five different producers – one young example (a new-ish release), and one aged (four of them were 19 yrs old, one was 28 yrs old) of the same wine. This is an important characteristic in the wines from Rioja and it was apparent in each wine we tasted that afternoon. Marques de Riscal Reserva 2007 ($14), is young by Rioja standards. It expressed deep dark fruit, some sour cherry, and was fresh in the mouth with medium tannins. The same wine from the 1994 vintage ($45) shows cola and herb notes on the nose with chocolate, tobacco, and wild dark berries, yet still has firm tannins. Marques de Murrieta Reserva 2007 ($22) showed vibrant plum and tart berry fruit on the nose, and was rich with a strong tannic structure on the mouth. Aged in both French and American oak, this was a powerful wine that definitely has some years ahead of it. Its 1994 counterpart ($52) showed delicate yet still bright tart cherry and raspberry fruit and dusty earth on the mouth. The oak had subsided and the tannins had certainly mellowed. Manuel Quintano Reserva 2004 ($48), violets and forest floor and cherry are noticeable on this wine along with still strong tannins. Jumping to the 1994 ($60) from the same producer I discovered one of my favorites from the tasting. The nose on this wine was intriguing with subtle cola, dark cherry, plum, and a little funk on the nose, but the mouth on this was smooth, luscious, and delicious and kept expressing new characteristics with each sip. Muga Prado Enea Gran Reserva 2005 ($53), perfumed with dark concentrated cassis, plum, and black cherry fruit with strong tannins in the mouth. The 1994 Gran Reserva ($60) was elegant, pretty and structured on the nose with earth and cola notes, and stewed tomato and meat flavors on the palate. Conde de Valdemar Gran Reserva 2004 ($35), smooth with plum, dark cherry, and a touch of leather. Its 28-year-old counterpart was much more fascinating and a highlight for me. You would never imagine this 1985 Gran Reserva was pushing 30 years old. Elegant and fresh with well integrated oak and fruit, showing floral notes, sweet wood and dried fruit. It certainly mellowed out with age, but still elegant and structured. I wish I had a glass of this one right now! Overall it was quite an experience to taste the same wines but decades apart. To experience the aging potential of each of the wines presented was eye opening. 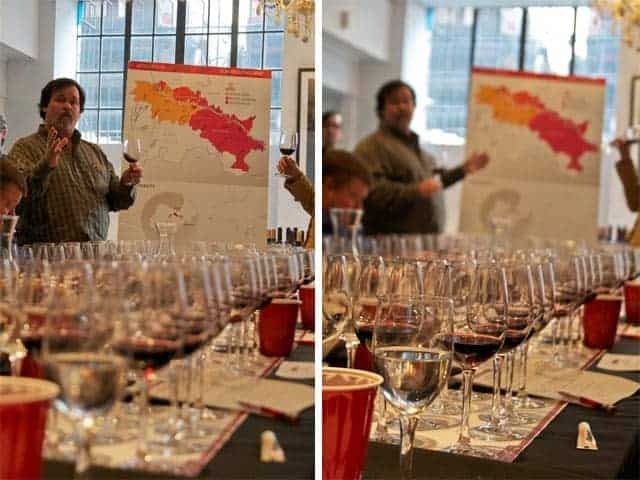 Towards the end of the tasting Fabiano made a prediction that these wines will soon be discovered for their ability to age among the best of them, and may have hinted that one should start stocking up now before word gets out and the prices start rising. I think she’s right! Many of these wines are still available on the market and I’m ready to find them and add them to my own cellar. Are you?